He doesn’t look anything like the original Bowser. 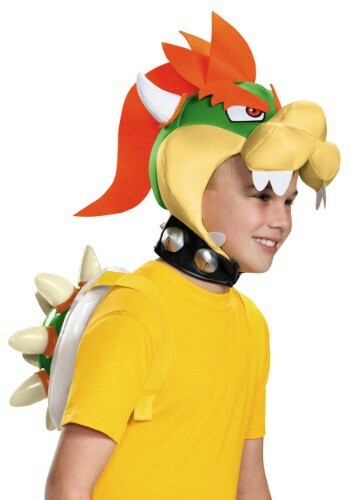 Well, he might not right now, but with this Child Bowser Kit he could. Just prepare for his attempt to install lava pits outside your house, and redesign your home into a treacherous castle, complete with draw bridges. 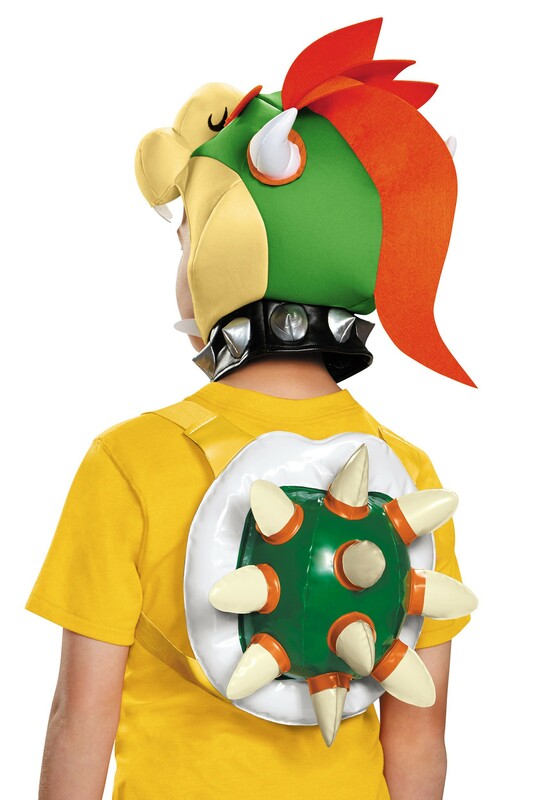 When he puts on this Bowser hood he will truly become the ruler of the Mushroom Kingdom! After his homework that is. Standard Hood Collar 17-18" 17-18"
Standard Backpack Straps 17-19" 17-19"
Standard Backpack Length (Not Inflated) 11.5" 11.5"
Standard Backpack Width (Not Inflated) 11" 11"